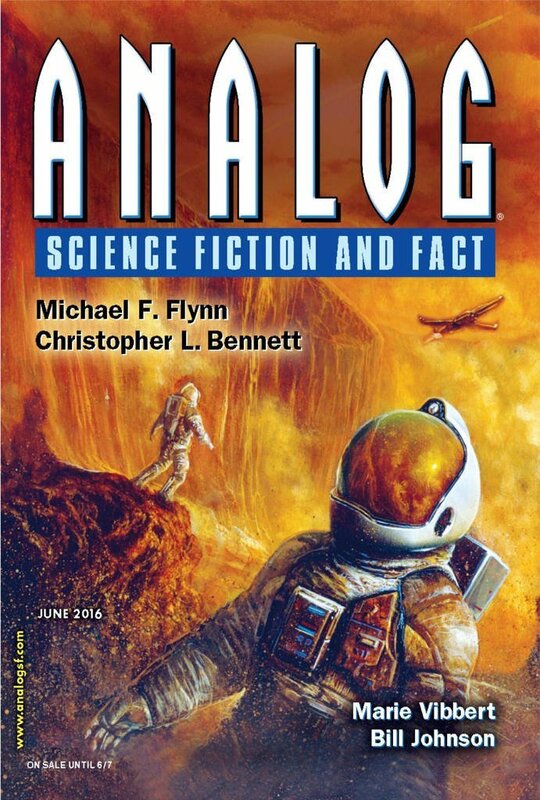 "Murder on the Cislunar Railroad," by Christopher L. Bennett, appeared in the June 2016 issue of Analog Science Fiction and Fact, published April 29, 2016, by Penny Publications. Pro: The concept that an AI couldn't really be copied without damaging it (not unreasonable in QM terms) gives this story a solid, hard SF feel. Athena's strong arguments on her own behalf are a high point. Con: The writing is off. The whole story is dominated by editorializing, unnecessary infodumps, and as-you-know-Bob explanations.